Say the name Bugatti and race cars should come to mind. Beautiful, fast, and sleek, the Bugatti racers dominated the European racing scene during the 1920s and ’30s. 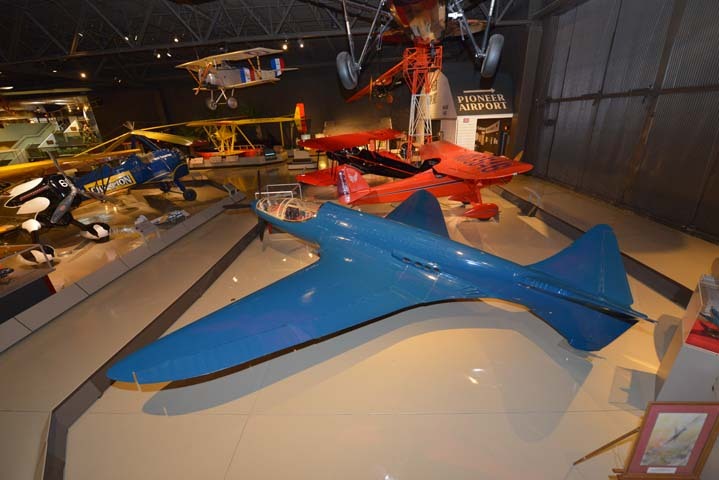 But the company also had an aviation connection, and a unique one at that — the Bugatti Model 100P racer, the sole example of which is on permanent display at the EAA Aviation Museum. Ettore Bugatti was born in Milan, Italy, on September 15, 1881, to Carlo and Therese Bugatti. The family was highly artistic with the father trained as a painter, sculptor, and fine furniture maker and Ettore’s brother, Rembrandt, was an animal sculptor. Ettore, however, was more interested in the mechanical. As a teenager in 1899, he built a powered tricycle and competed in a cross-country race. By age 18, he had built his first race car. Bugatti’s work was marked by uncompromising design integrity allied to a simple and logical use of materials. He described his work as “thoroughbred.” His engine designs were at the core of his success. Bugatti started his own factory in Molsheim, Germany, which became French in 1918 after World War I. During the 1920s, Bugatti emigrated from Italy to France and became a loyal French citizen. When World War I stormed across Europe, Bugatti designed 250-hp straight eight and 450-hp double straight eight (U-16) aircraft engines for the French government. The engines were so impressive that U.S. Bolling Commission bought the license for $100,000, and it was planned that the engines would be produced by the Duesenberg Motor Co. Production was planned for 2,000-5,000 of the design, but the end of the war intervened and only about 40 were built. Charles B. King was hired to redesign the oil system and the engine became known as the King Bugatti. Bugatti’s interest in aircraft increased, and, after WWI and his great successes in automobile racing, he decided to take the Germans head-on in the Deutsche de La Muerthe Cup Race. This was an aircraft race equivalent to the Thompson Trophy Race held in the United States. With this desire to beat the Germans, he hired Louis de Monge to design an airframe. 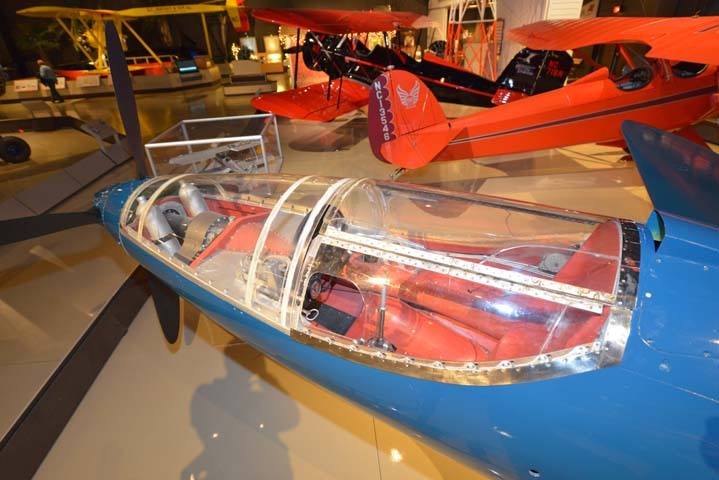 The original concept was for a single-engine aircraft, but it was later changed to accommodate two modified Bugatti model 50B engines in an effort to break the world airplane speed record. Construction of the aircraft was undertaken on the second floor of a furniture factory in Paris. 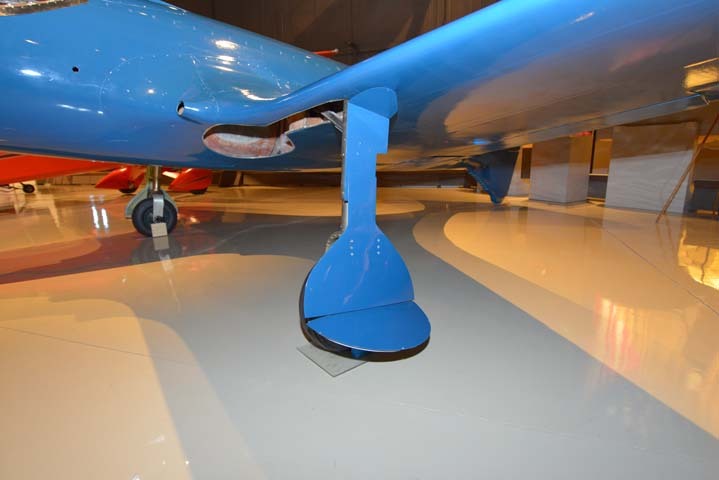 The French government was aware of the advanced design and Bugatti received a contract for a light pursuit plane designated as the Model 110P based on the Model 100P racer. In 1938-1939, while the Model 100 was under construction, the threat of war increased. The aircraft had to be completed by September of 1939 to enter the race. The deadline was not met and the striking and futuristic airplane never took to the air. When the Germans neared the French capital in June 1940, it was decided to move the aircraft from its Paris location. As the plane was not complete, it was lowered from a second-story window of the factory and taken into the French countryside. There, tucked away in a barn, the never-flown airplane resided for almost 30 years. Ettore Bugatti died at age 66 on August 21, 1947. After his death, the aircraft was acquired by a Mr. Pazzoli, who sold it to a Mr. Salis, who in turn sold it to the American car aficionado Ray Jones in 1970. Jones’ sole purpose in purchasing the 100P was to acquire the two Bugatti engines still in the aircraft. He brought the airplane to the U.S., removed the powerplants, and sold the airframe to Dr. Peter Williamson. 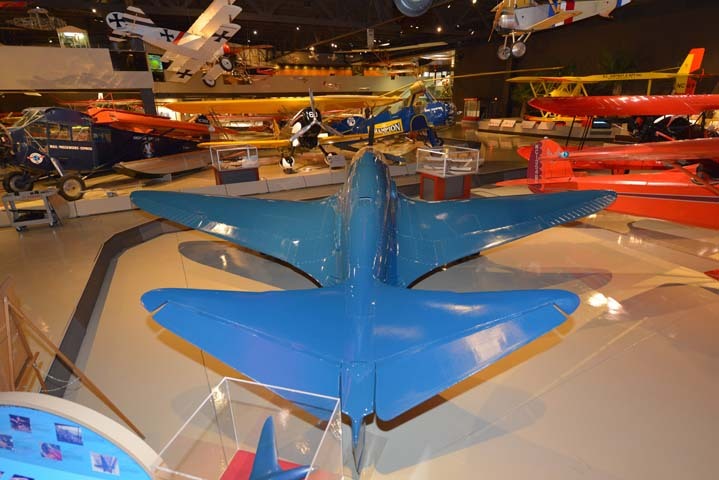 Williamson moved the aircraft to Connecticut in February 1971 to begin a lengthy restoration. Les and Don Lefferts worked on the project from 1975 to 1979. 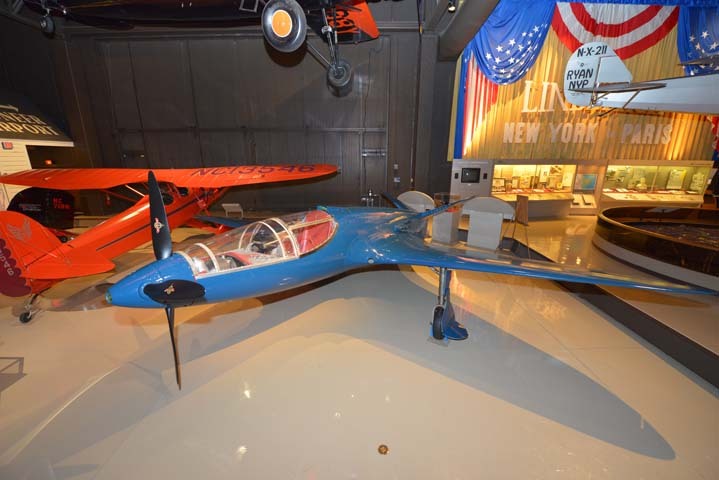 The restoration ceased in 1979 and the aircraft was donated to the Air Force Museum Foundation with hopes of completing the work and placing the aircraft on permanent loan to another museum. 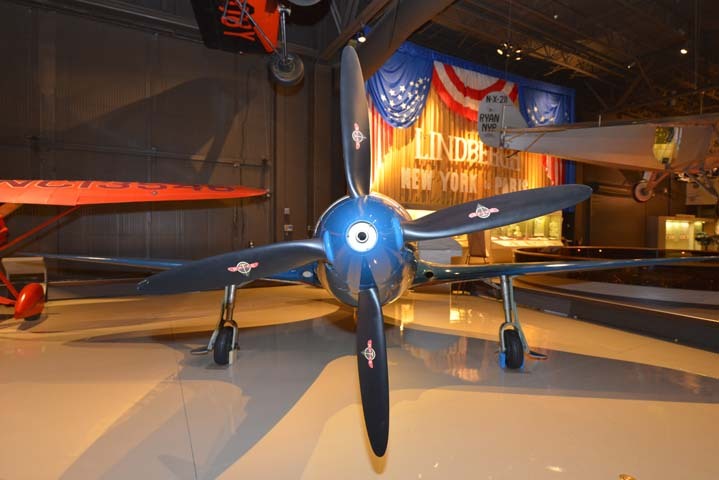 As time slipped away, the aircraft remained in storage for another 15 years before being donated to the EAA Aviation Museum in 1996. Efforts immediately began to get the aircraft ready for display. 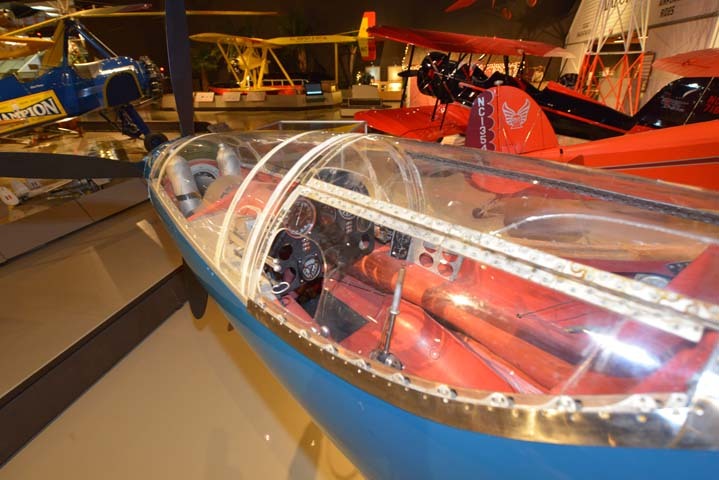 This extraordinary example of unconventional forward thinking serves as an inspiration to aircraft designers and builders who visit the museum from around the world. While the original airplane never flew, the design finally did. Avid pilot and builder Scotty Wilson, EAA 572551, and his team spent seven years and more than 10,000 man-hours painstakingly creating a reproduction of the 100P, which first flew on August 19, 2015. Tragically, Wilson was killed and the airplane destroyed in a crash on its third flight.